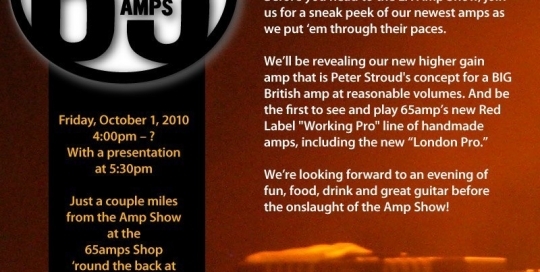 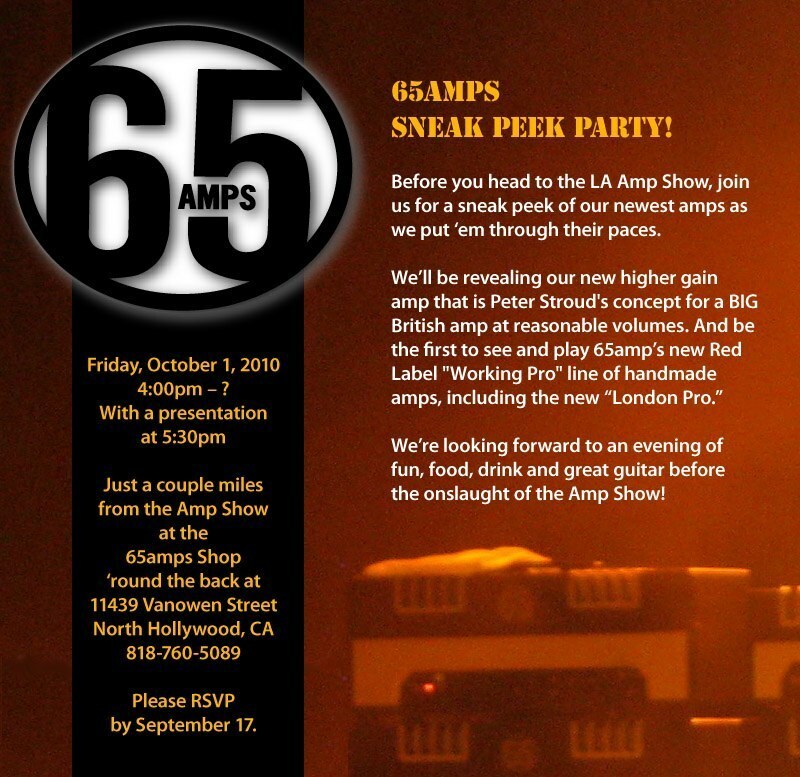 A graphic created for 65amps’ eNewsletter. 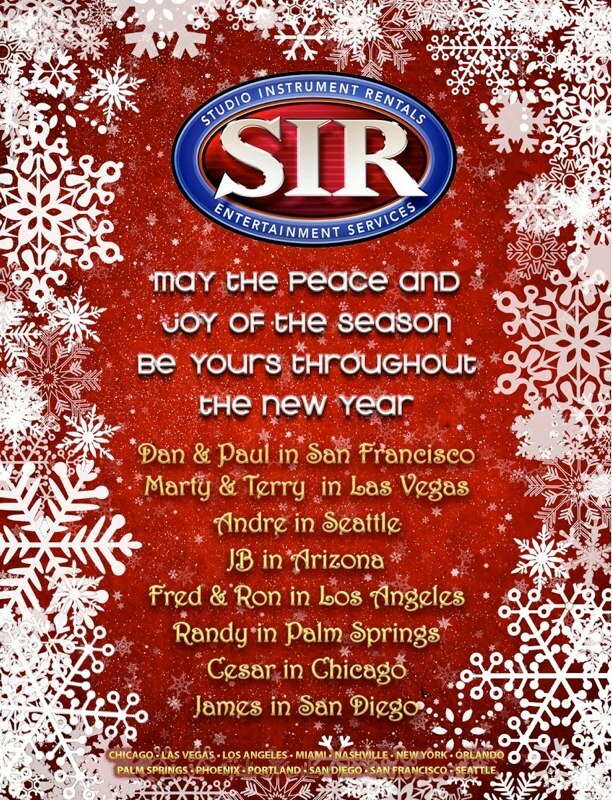 An eBlast created for SIR’s holiday greeting. 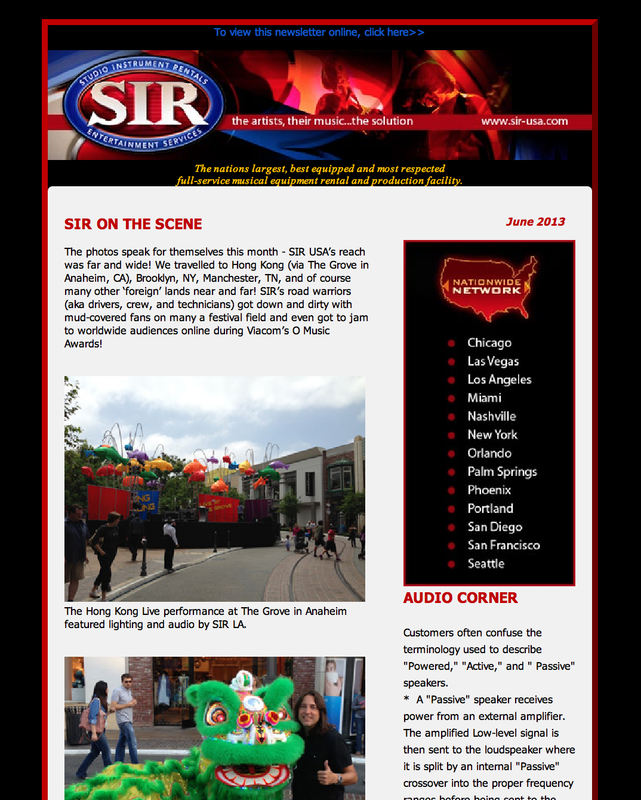 Monthly newsletter created for SIR. 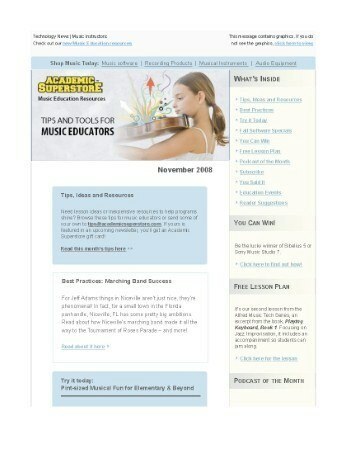 eNewsletter created for Academic Superstore. 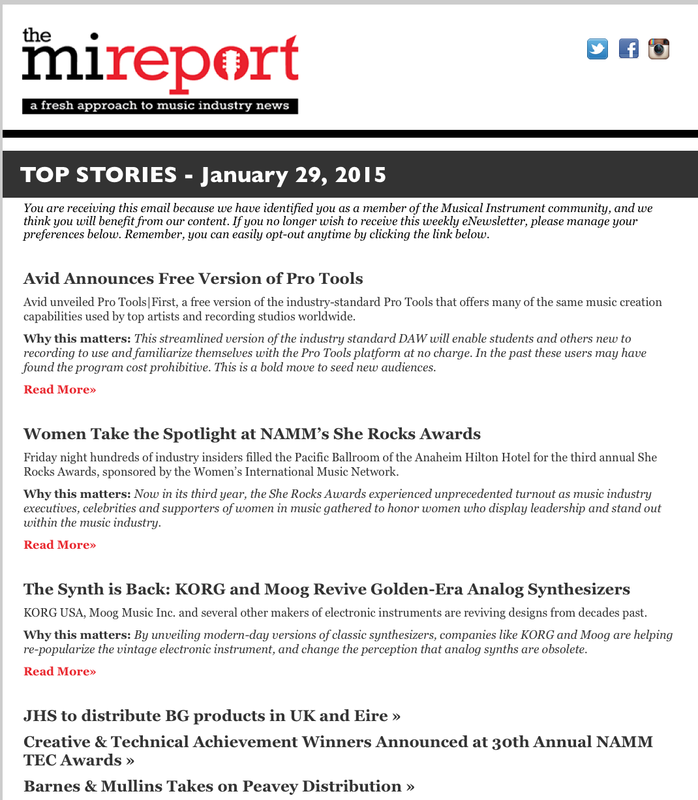 An eNewsletter created for Muse Research. 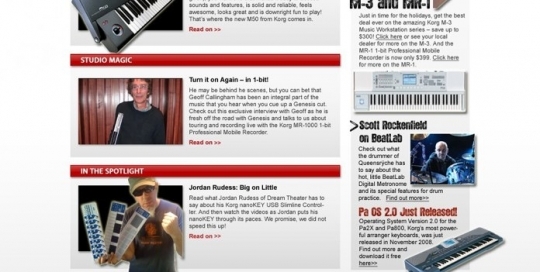 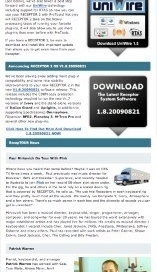 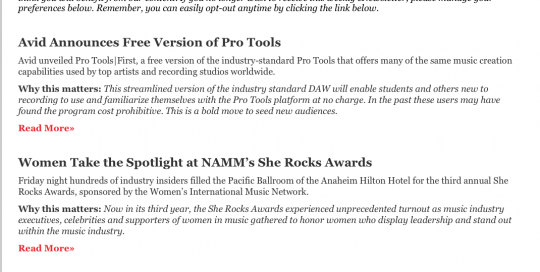 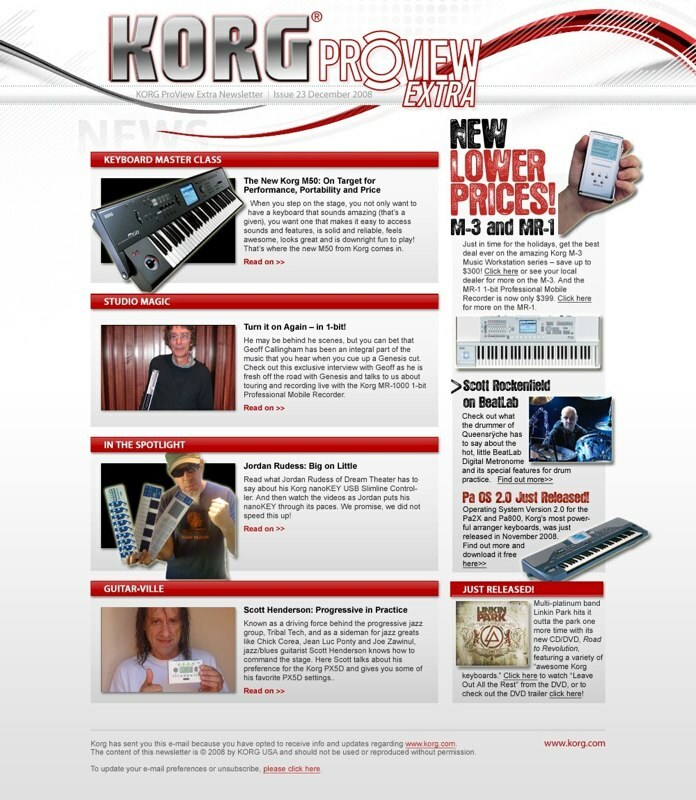 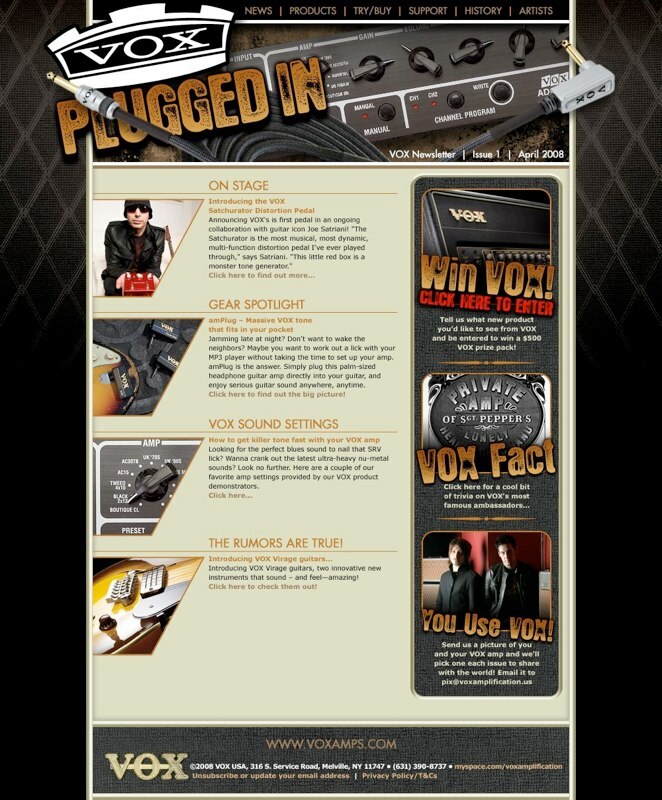 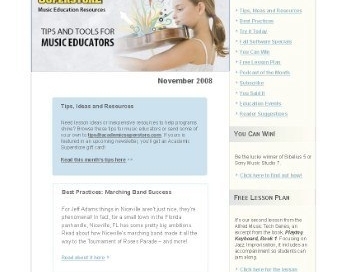 An eNewsletter created for Korg. 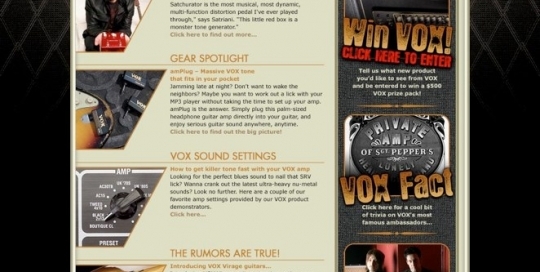 An eNewsletter created for Vox.